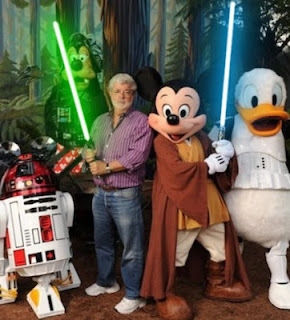 Last year's surprise news that Disney bought Star Wars sent nerds to the internet in droves. Some loved the idea of new Star Wars movies, others denounced the move as a naked cash grab, and many more argued about whether Disney would even do the franchise justice. Those arguments haven't died down (nor will they ever, welcome to the internet) and they will only intensify when the movies actually premiere. So why all the fuss? After all, they're just movies. Calm down, internet, I was being rhetorical. Star Wars is more than just a series of movies. It is a cultural force that shaped the last few generations. Even if you've never seen the films, you've no doubt seen their impact. Star Wars is everywhere, influencing modern directors and filmmakers, scientists, and even politicians. Don't think churches haven't been influenced either, as countless pastors have used the saga's themes of good versus evil, sacrifice, and redemption in sermons. Quick Review: We finally got the fiery end we were promised. Spoilers ahead, and you might want to watch the episode before you go any further. Now, the consequences of being spoiled won't be too dire. No one is coming to your house to do unspeakable things in your drawers, now will they blow up your possessions with fireworks. But you might want to watch this episode first. It's just common sense. 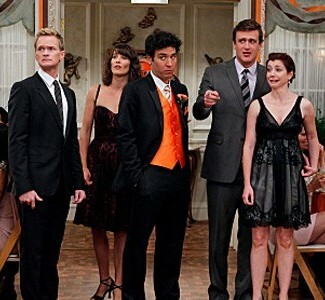 How I Met Your Mother: "The Ashtray"
Quick Review: I think the writers had one too many sandwiches. Spoilers ahead, so perhaps you might want to watch the episode first, lest you be spoiled. Why am I so insistent upon giving you a spoiler warning? Because in the days of pirates, giving away the ending to a story without so much as an "Avast, here be a spoiler warning!" would earn you a quick trip to Davy Jones' Locker. Keel hauling might play a part, and that's a nasty way to go. Let this be a warning to any of you who go around spoiling without warnings. When you least expect it, you'll see a black flag on the horizon, and your doom approaches. I'm writing this on Valentine's Day, but this column could be about any special day the two of you celebrate. It could be about your anniversary or birthday, a special vacation or a quiet evening together. It could be about an event you've planned for months, if not years, or something you throw together at the last minute. No matter what the occasion, you need to understand one thing: it's not going to be perfect. The word "perfect" is the ruiner of relationships. I've written before about the misguided belief in "soul-mates," as it causes you to abandon relationships at the first sign of trouble because you believe that when you meet "the one" you'll never have problems. Just as dangerous a belief is that your special moments must be blemish-free, that when you leave behind the worries of the world, you will enter a private paradise. How I Met Your Mother: "Bad Crazy"
Quick Review: This show is getting exhausting. Spoiler alert, but really, why bother? Last week, sure, you wanted to be kept spoiler free. This week, I don't know. Yeah, there's a couple of surprises. One that's kind of good, so yeah, you might regret knowing it. Even seventeen years later, you might not exactly be happy with being spoiled on it. Oh, sure, you think that in seventeen years you'll probably get over it, especially with all that wine. You might be right. You might also be an alcoholic, which after seventeen years will do a number on your liver. Hopefully by then we'll be really good at growing new ones. Otherwise, you're going to regret drinking wine for seventeen years to forget. So even this week, you might not want to be spoiled. Your future liver thanks you. How I Met Your Mother: "P.S. I Love You." Quick Review: Robin Sparkles is back! What more do you need? Spoilers ahead, so you might just want to watch the episode first before you proceed. If you get spoiled on this episode, you might go into a dark place. A very dark place. And then you'll start wearing flannel, dye your hair black, and wind up with a Canadian restraining order, which is like an American restraining order but it's a bit more polite, measured in meters, and it comes with a donut. Because it can be rough getting that restraining order, and they're really sorry to have to do it to you, so they give you a donut so you'll feel better. So hey, no hard feelings. Enjoy the donut, and maybe take in a hockey game while you're there. Thank you for giving me a reason to actually pay attention to sports once a year. I know, sports are an integral part of the American fabric; mom, apple pie, and baseball representing the crucial trifecta of family, good food, and sports. It's a part of America, and there is no non-religious day bigger in America than the Superbowl. (And depending on where you go to church, they make just as big a deal about Super-Sunday as they do Christmas and possibly Easter.) It's a big deal. One that I really have no interest in. I can barely remember who's playing, and unless my hometown team is in the game, I really don't care all that much. (If they had made it, this would be a very different column.) However, despite the fact that I have no skin in the game, so to speak, I do feel an obligation to pay a little attention to this annual American tradition. And that's why I'm thankful for you commercials.